WikiLeaks co-founder Julian Assange has once again defended the promise to allow his extradition to the US if Chelsea Manning was granted clemency during a rare appearance on Australian television. Assange was interviewed by Waleed Aly on Channel 10’s ‘The Project’ on Tuesday, and fielded pointed questions suggesting he was lying by not handing himself over to US authorities following the “major strategic victory” which the commutation of Manning’s sentence provided the whistleblowing organization. Former US President Barack Obama announced last week he would commute Manning’s 35-year sentence for leaking hundreds of thousands of documents revealing US war crimes and exposing secrets of the Afghanistan and Iraq wars. Manning, who has served seven years in confinement, will be released in May. “No, but on your side, you said that if Chelsea Manning was released you would leave, you would leave the embassy,” Aly responded. “Saying I'm willing to accept extradition doesn't mean I'm saying that I'm willing to be a complete idiot and throw all my lawyers away and so on,” Assange said. “No, we're going to have a discussion with the DoJ about what that looks like. The ball is in their court." Assange suggested the Democratic establishment supported pardoning Manning in part because it would paint the WikiLeaks editor as a liar. “But it’s going to make life hard for Assange, because either he’s going to get extradited to the United States or we’re going to show he’s a liar and both of those things are going to make life hard for Assange, and therefore it’s okay to pardon Chelsea Manning, and that’s what happened,” he said. Assange was also pressed on whether there was Russian involvement in the WikiLeaks release of Democratic National Committee emails or the emails of Hillary Clinton’s campaign chair John Podesta. “I can state clearly, and I have stated clearly, that our source is not a member of the Russian government,” Assange said. 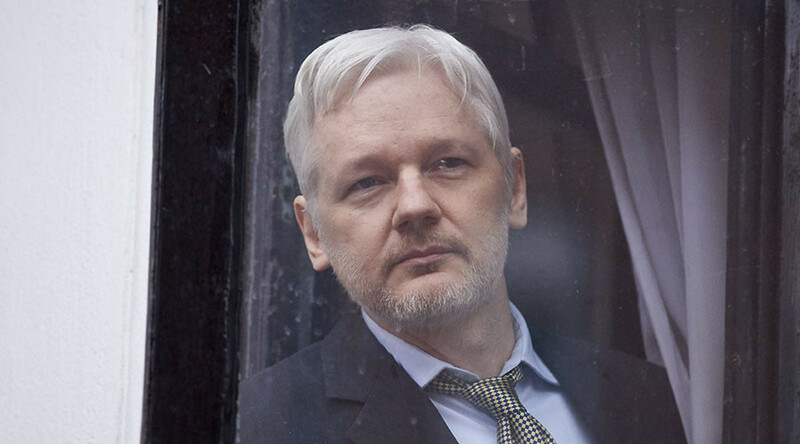 Assange is scheduled to host a number of video conferences in Australia in the coming months.